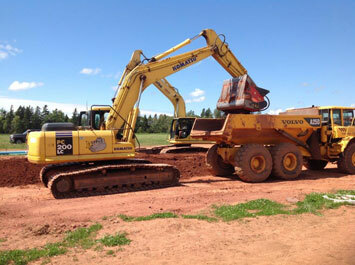 Here at Duffy Construction, we specialize in earthmoving and rely on durable and well maintained equipment to get the job finished and on time. 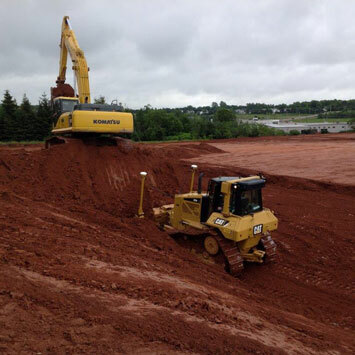 Our team of operators have extensive experience in all aspects of earthwork such as digging, ditching, sloping, stripping, grading, back filling, compacting, clearing and excavating. We have a fleet of trucks ranging from small single axle trucks, up to tandem dump trucks, dump trailers, & rock trucks. No job is too big or too small. 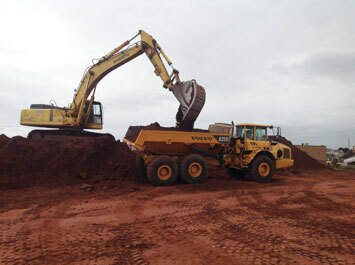 We offer a variety of different products that can be distributed throughout the island including topsoil, sandstone, gravel, asphalt millings, structural fill, sand, and rock. 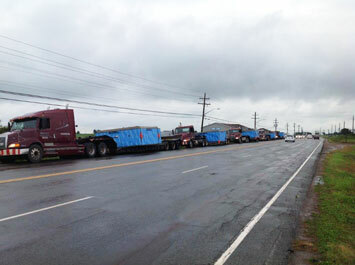 We are also available to move equipment & materials via flat beds throughout the Maritimes. If your site needs to be cleared of trees, brush, logs, rocks or debris, we have a variety of equipment capable of handling any size project. We have extensive experience in clearing trees & stumps and rehabilitating unusable parcels of land. 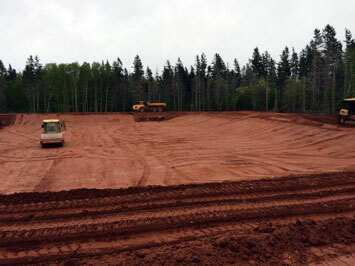 We provide site preparation services such as building pads, trenching, grading, excavation, ditching, and de-watering. 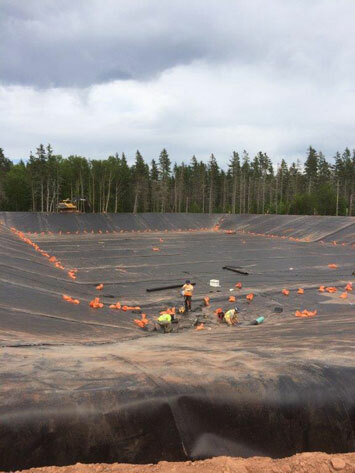 Duffy Construction also specializes in the installation of septic systems, driveways, & parking lots. 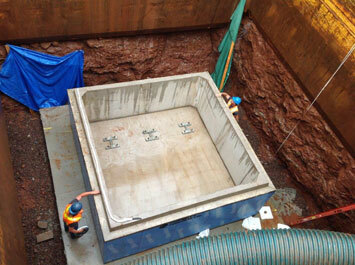 Among our primary specialties are the installation and rehabilitation of sewer, water, & storm systems. We also have extensive experience in construction of lagoons and many other projects for municipal governments and public and private sector organizations. 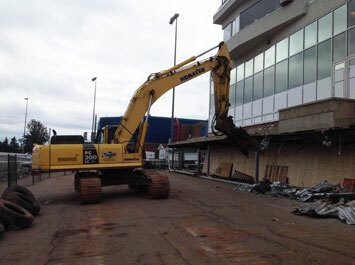 Duffy Construction is fully equipped to offer demolition services big or small. 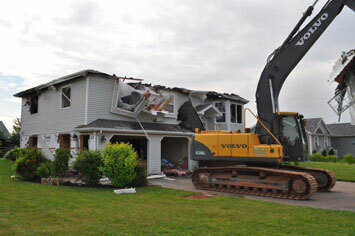 We can demolish and remove structures from residential housing to complete factories or industrial plants. We will arrange the permits, remove hazardous materials, clear the site, and back fill the excavations complete with landscaping services. Duffy Construction is committed to waste management and whenever possible will recycle debris created by the demolition. 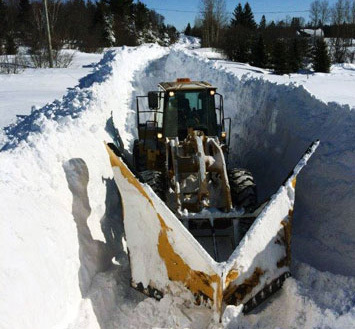 Duffy Construction clears snow from over a hundred kilometres in Prince and Queens Counties throughout the winter months, and we are also equipped with salting & sanding trucks to keep our routes safe. Throughout the winter, we rely on an extensive fleet of 4WD plow trucks, loaders, & blowers to keep our roads open and accessible. No matter how severe the conditions, we are equipped to handle whatever winter might throw at us. 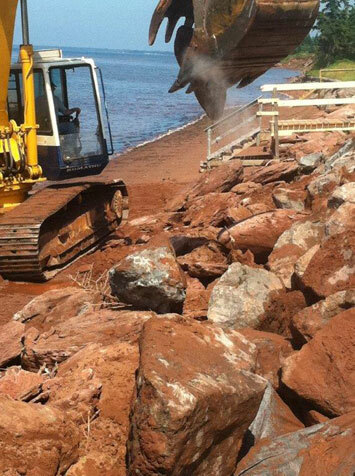 Stabilizing our coastal shorelines has been a specialty of ours for many years. We have dedicated trucks & trailers for the hauling of rock, and specialized machines for the placement of reinforcement along the shoreline.